AVANT are pleased to announce that we have become a member of the highly regarded National Hairdressers Federation (NHF). The NHF is the UK’s largest trade association for hairdressing, barbering and beauty salon owners, aiming to help members build successful, profitable and sustainable businesses. Avant share that ambition and are extremely proud to be an NHF member. We also agree with the NHF that hairdressing and barbering needs to be recognised as a profession and support the work they are doing, along with the Hair Council and Barbers Council to take state registration forward without increasing the costs for salon or barbershop owners. NHF are also a lobbying body for the hair and beauty industry, giving employers a strong voice to support successful campaigning at the highest levels of government and the media on key issues including National Minimum and Living Wage, Apprenticeships and pensions. The NHF were involved in the changes to Apprenticeships, including helping the development of the recently introduced Hair Professional Standard. This new standard, which was developed with employers and organisations including VTCT, involves a practical test, similar to a trade test, carried out by independent examiners at the end of the Apprentices training. Avant are excited to confirm that we are already training hairdressers and barbers across northern Lincolnshire in the new Hair Professional Standard. Whether you are a member of NHF or not, Avant can support the training of local hairdressers and barbers, taking forward the aim of developing a highly regarded professional sector. 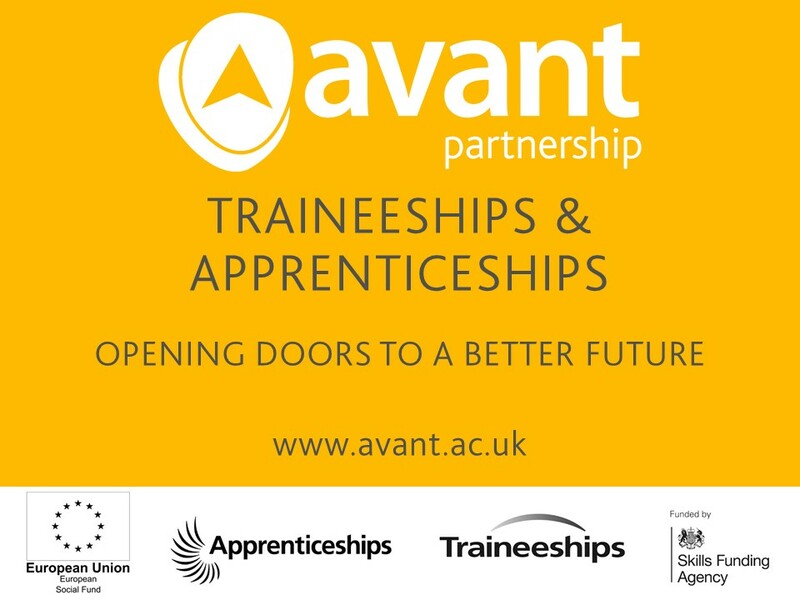 We are passionate about Apprenticeships and, having been successful in the recent procurement of non-levy Apprenticeships by the government, Avant have the funding to continue delivering Apprenticeship training into the New Year. Help us and the NHF to ensure that local young people participating in Apprenticeships achieve the 'salon ready' skills needed by employers, and help Apprenticeships to become recognised as the best route into our industry. Not sure what to do when you leave school or college? This is for you!